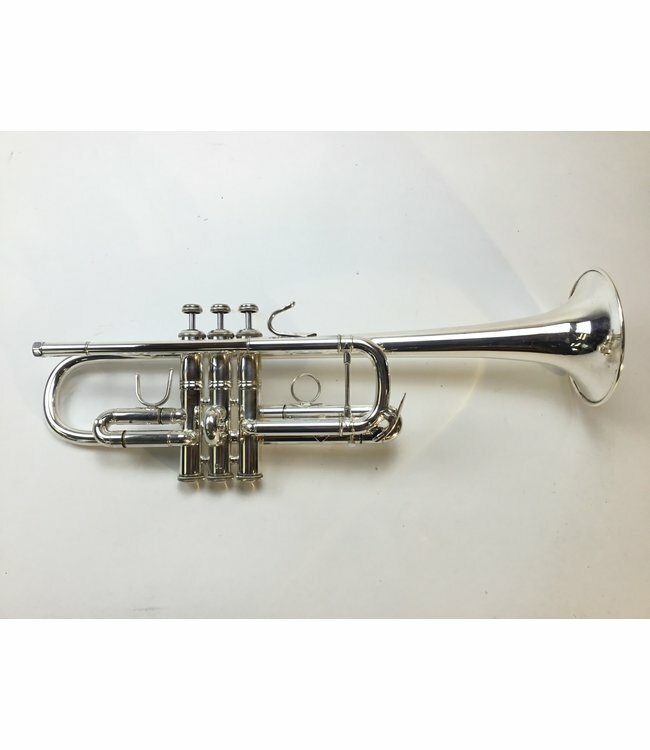 Used Bach Stradivarius model 239/25C large bore C trumpet in silver plate. Fair condition with plating and metal wear at contact points and bell tail, not affecting playability. No case.